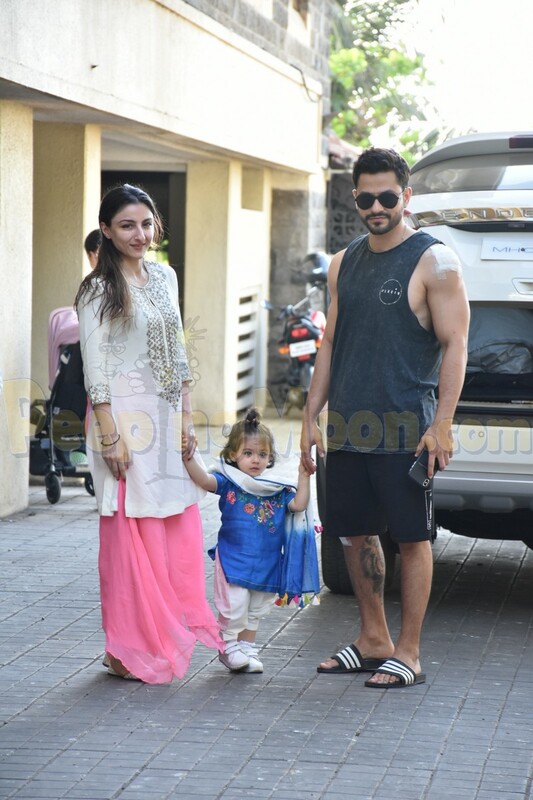 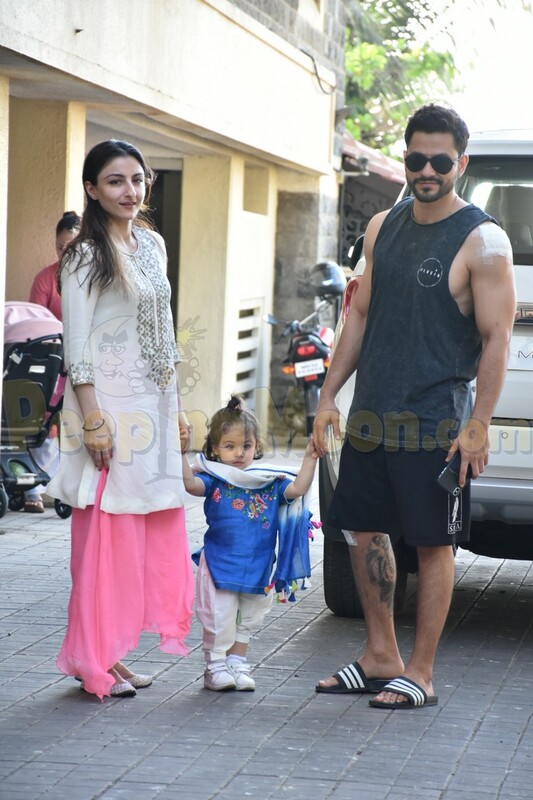 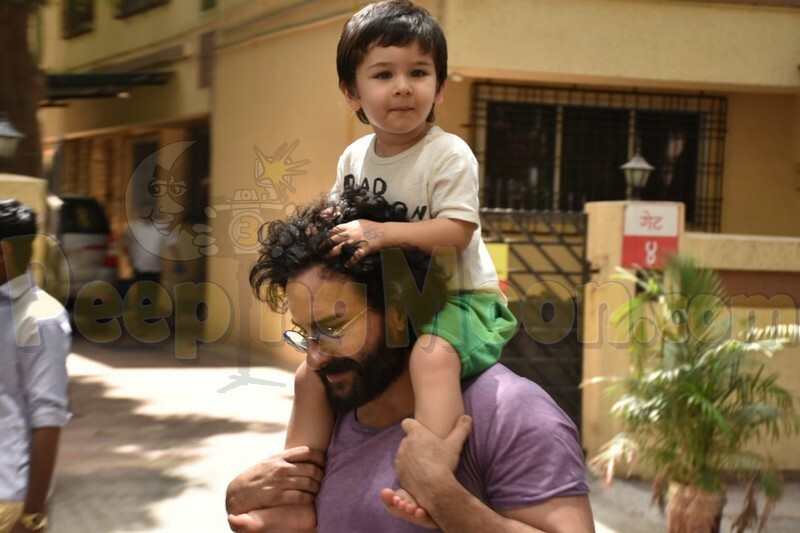 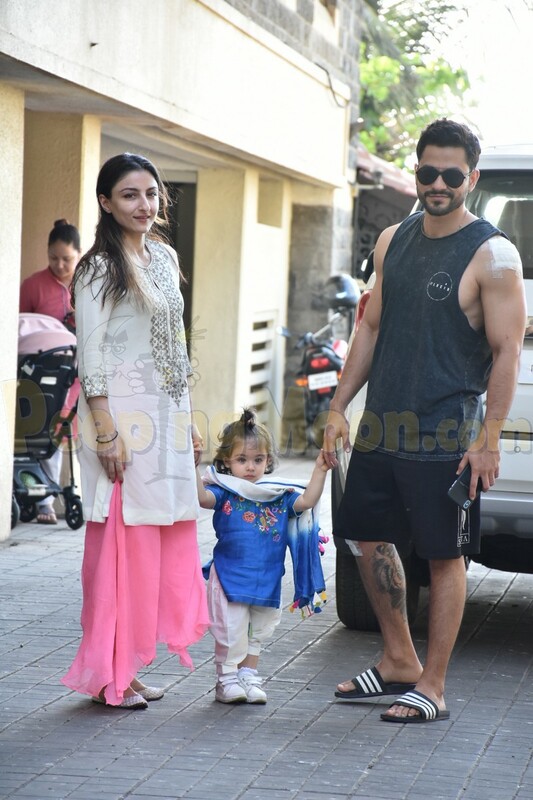 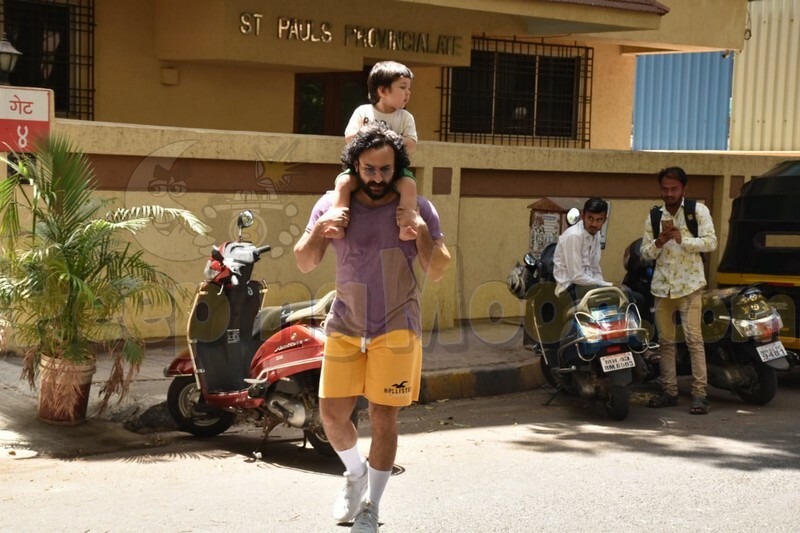 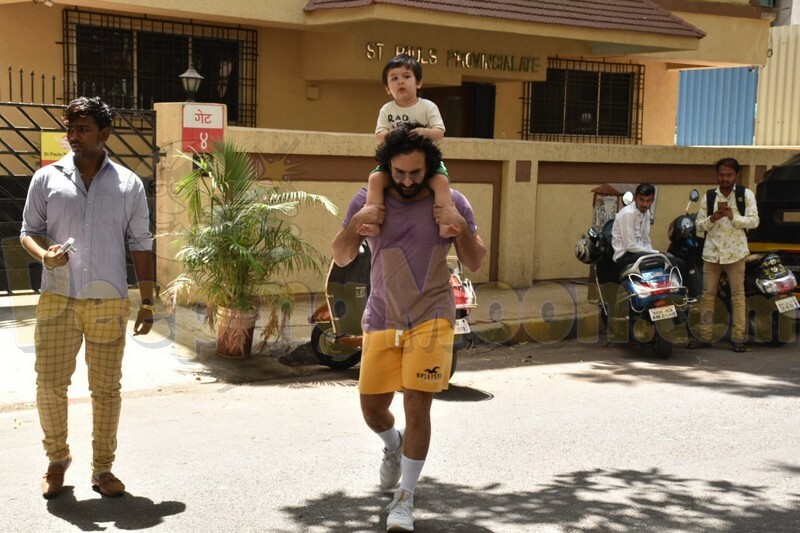 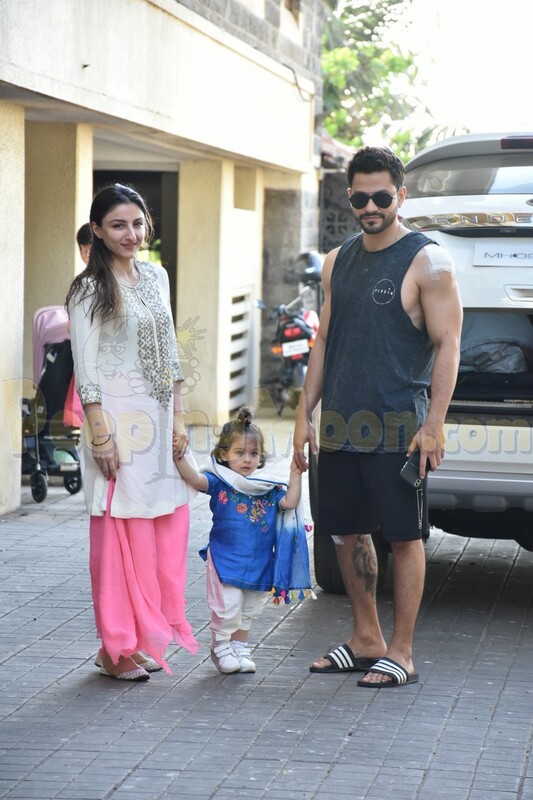 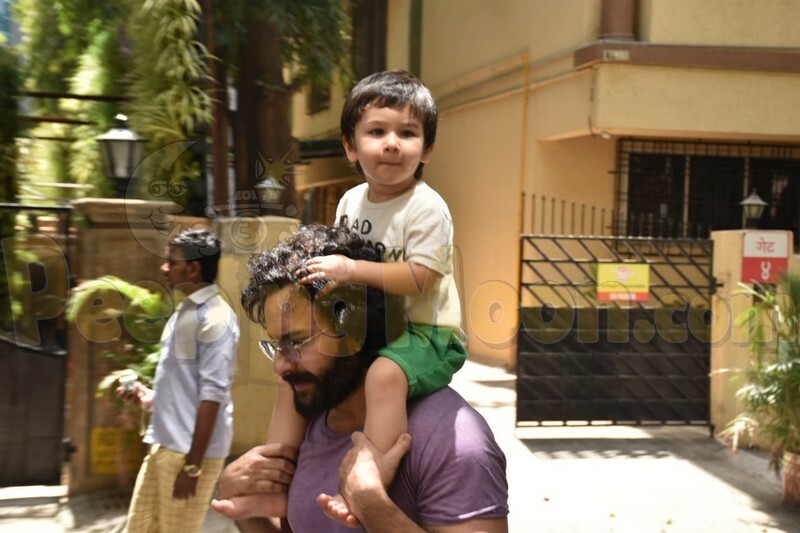 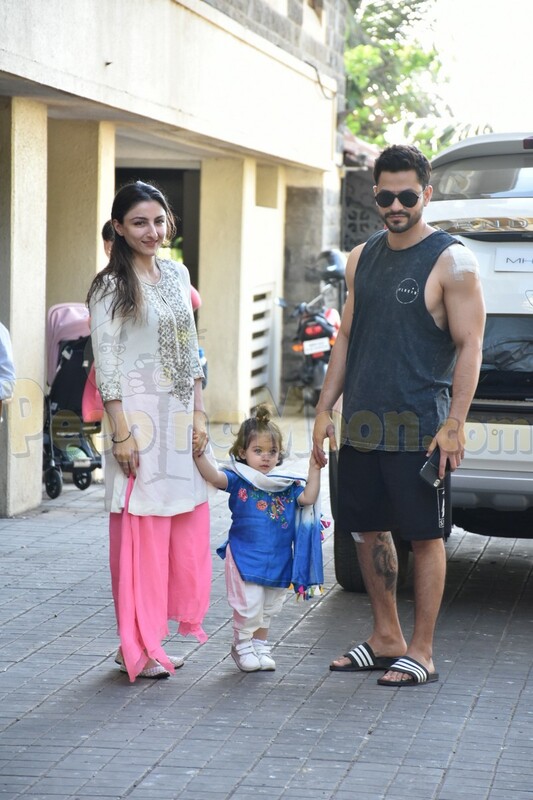 Taimur Ali Khan was snapped in the city this afternoon with his father Saif Ali Khan as he took a piggyback ride on Saif's shoulders. 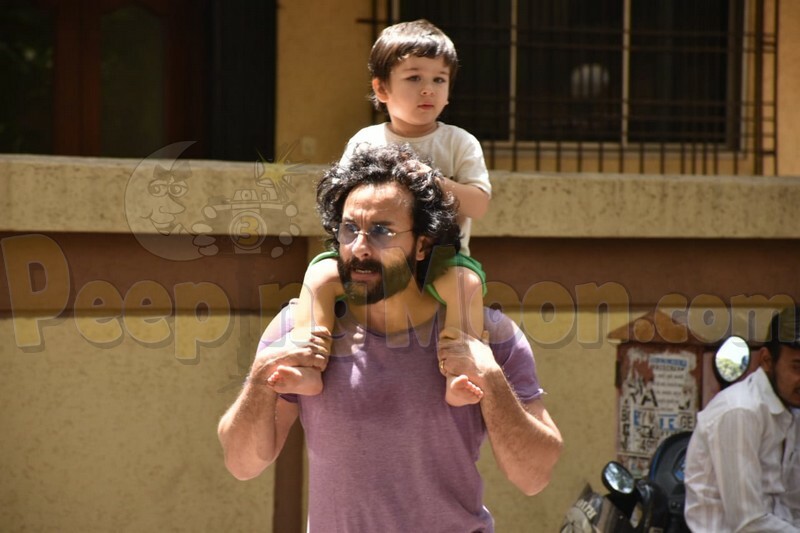 Baby T was seen cheerfully playing with Saif's hair while he gave him a relaxing head massage. 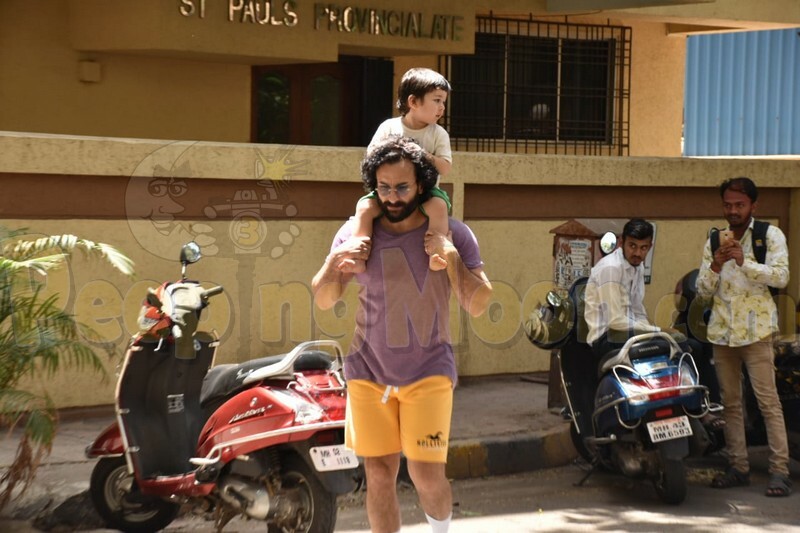 Have a look at these adorable pictures of the daddy-son duo.